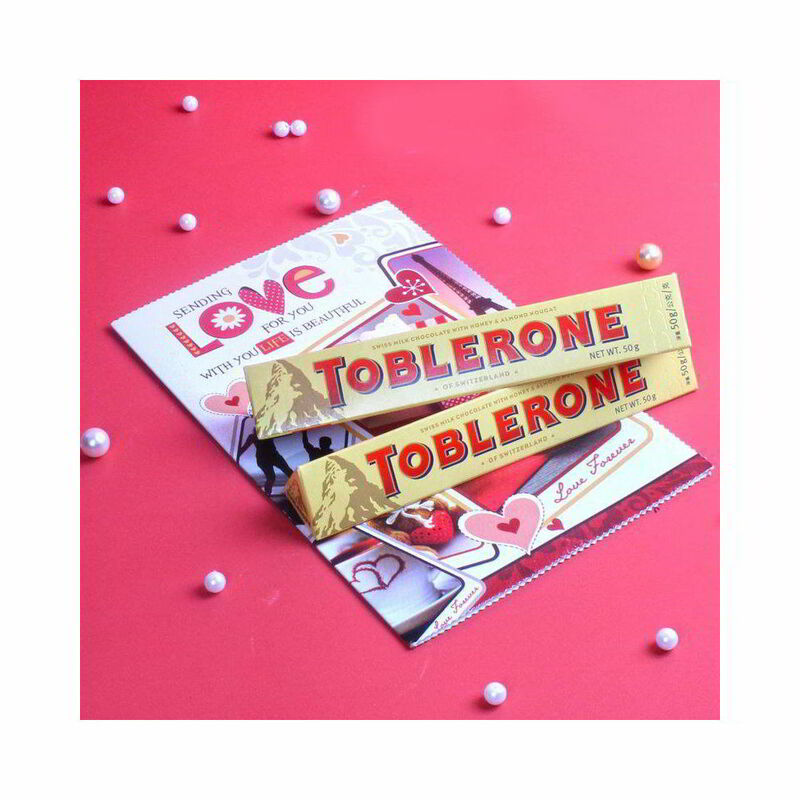 We bring a perfect valentine day gift like Toblerone Chocolate with Greeting Card, this combo will bring a spark in her eyes and will make her feel happy. This exceptional gift pack includes grooming product for her, which has the feeling of deepest love and care. The aroma and quality of these items has a special charm in its glaze which will relax mind and soul. This gift will bring your relationship more closely with its positive affect. This gift combo should be the best bet for Valentine's Day, Birthday, Anniversary, Women's Day and Many more.. Browse your favorite products, it is very conveniently available for online shopping from anywhere in India with Free Shipping. 2 bars of Toblerone Chocolate (worth Rs 50/- each ) along with Love Greeting Card. Valentine's Day Express Deliveries will be made on the same day of those orders received before 8 PM on 13th Feb 2019. Delivery Preferable Time is Between 10 AM to 7 PM on the specified date. No Tome specification accepted for Valentines Day.